This GCSE and IGCSE revision podcast focuses on the period following the Wall Street crash in 1929, when the world was plunged into a huge economic depression which ultimately led to strained relations between countries as they tried to survive at all costs. While the 1920s saw presented a mix of both success and failure for the League of Nations, the 1930s arguably saw its complete collapse. The first section of the podcast looks at the Manchurian Crisis. Beginning with an explanation of its causes, the episode goes on to describe the League’s response and the effect that this had on the long-term reputation of the League. This is followed by a brief description of the World Disarmament Conference of 1932-33. 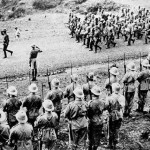 The second part of the podcast focuses on the Abyssinia Crisis. Again beginning with the causes of the crisis, the podcast then describes the League’s response. 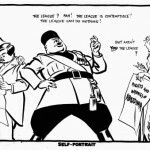 Reference is made to the immensely damaging Hoare-Laval Pact, followed by an explanation of how the League’s failure to deal decisively with Mussolini’s aggression against Abyssinia rendered the League of Nations powerless to deal with Hitler’s subsequent aggression. The major events of the 1930s for the League of Nations including the Manchuria Crisis, the World Disarmament Conference and the Abyssinia Crisis. 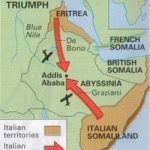 On the 5th December 1934, the Wal-Wal Incident took place which laid the foundations for the Abyssinia Crisis.